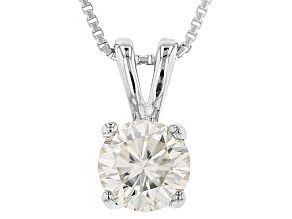 Moissanite Pendant 14k White Gold 1.50ct DEW. 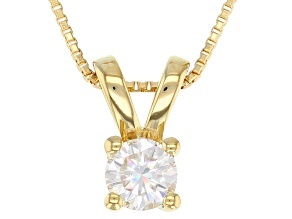 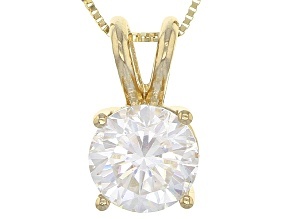 Moissanite Pendant 14k Yellow Gold 1.50ct DEW. 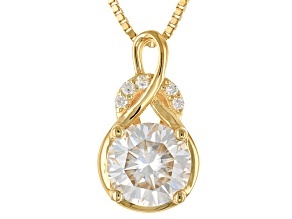 Moissanite 14k yellow gold over sterling silver pendant .50ct DEW. 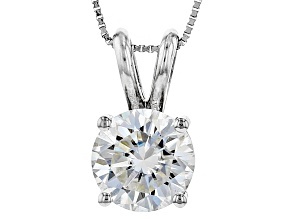 Moissanite 14k White Gold Pendant 1.00ct DEW. 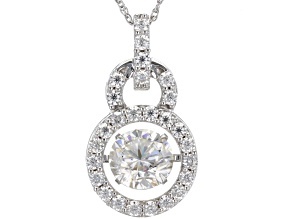 Moissanite Platineve Pendant 2.68ctw DEW. 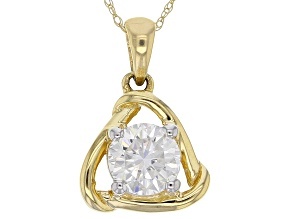 Moissanite 14K Yellow Gold over Silver Pendant 2.68ctw DEW. 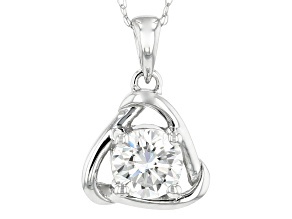 Moissanite 14k White Gold Pendant 3.10ctw DEW. 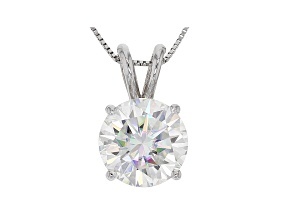 Create a spark wherever you go with moissanite necklaces and pendants from JTV. 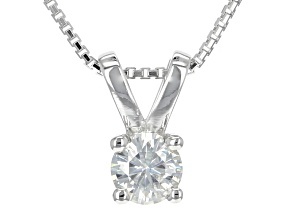 Moissanite is a dynamic gemstone that often draws comparisons to diamonds. 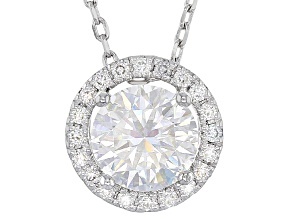 While the jewels are similar in appearance and structure, moissanite actually rates higher than diamonds in brilliance, dispersion (known as fire) and luster. 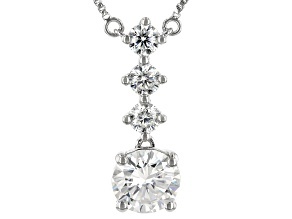 In fact, JTV Moissanite Fire jewelry has more than two times the fire of regular diamonds. 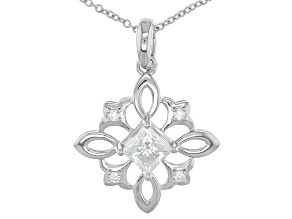 And because moissanite is created synthetically and then faceted by a skilled JTV artisan, the gemstone is perfect for crafting brilliant necklaces and pendants that are still affordable. 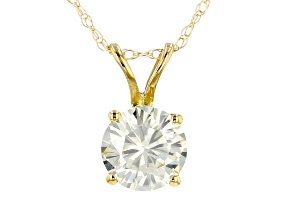 Moissanite necklaces are as versatile as they are beautiful. 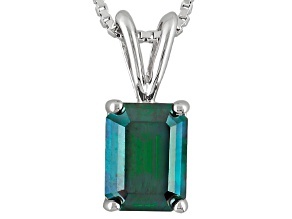 Explore solitary stone pendants to add some flair when you go to work – it won't just be your presentation that's sensational. 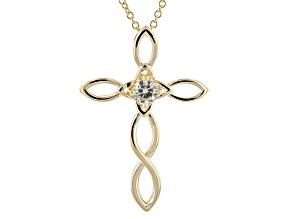 Find a more intricate design to make you stand out during a special occasion or an evening out on the town. 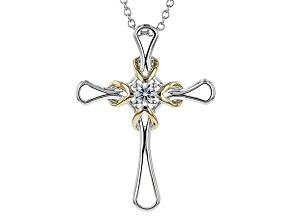 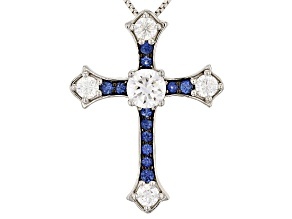 We even have large selection of cross pendants that allow you to share your spirituality while keeping your faith close to your heart. 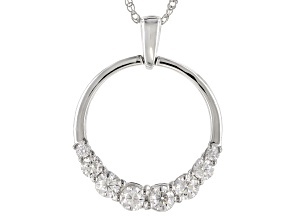 Most moissanite at JTV is near colorless, so the pendants pair well with whatever color chain and setting suits you best (white gold, yellow gold, rose gold or sterling silver, just to name a few). 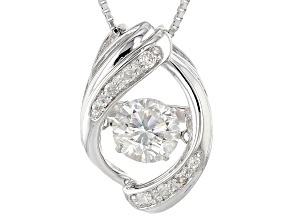 With unforgettable brilliance, unquenchable fire and timeless beauty, exclusive Moissanite Fire stones are equally stunning in fiery-designed earrings and bracelets. 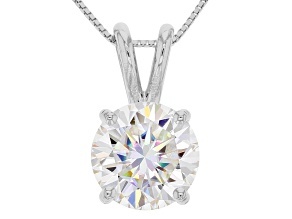 As one of the nation's premiere retailers of moissanite necklaces and pendants, and the largest single retailer of lab-created moissanite in the U.S., JTV backs each and every purchase with an assurance of authenticity. 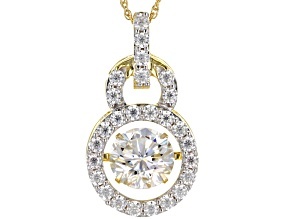 And with moissanite stones that rate just below diamonds in hardness, forever just got a little more crowded. 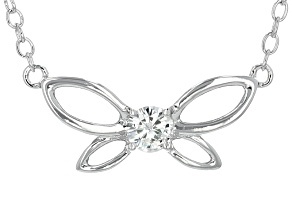 You can be sure that your moissanite necklace or pendant will last a lifetime while resisting scratching, abrasions, breaking and chipping. 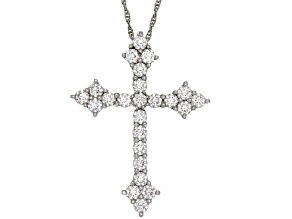 Start shopping for your next piece now!